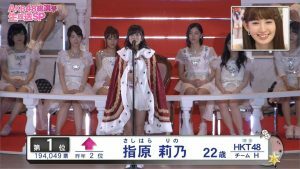 Here is Sutou Ririka’s speech for the #20 position from the 2017 AKB48 49th Single 9th Senbatsu Sousenkyo General Election. 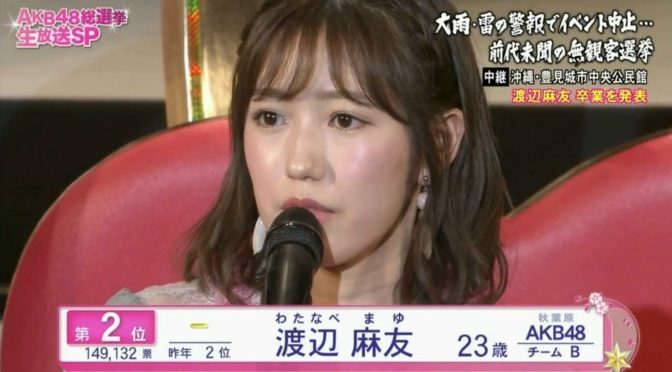 Here is Watanabe Mayu’s speech for the #2 position from the 2017 AKB48 49th Single 9th Senbatsu Sousenkyo General Election. 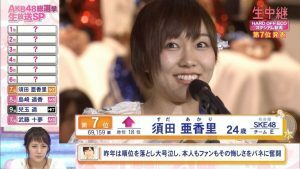 Here is Homma Hinata’s speech for the #14 position from the 2017 AKB48 49th Single 9th Senbatsu Sousenkyo General Election. 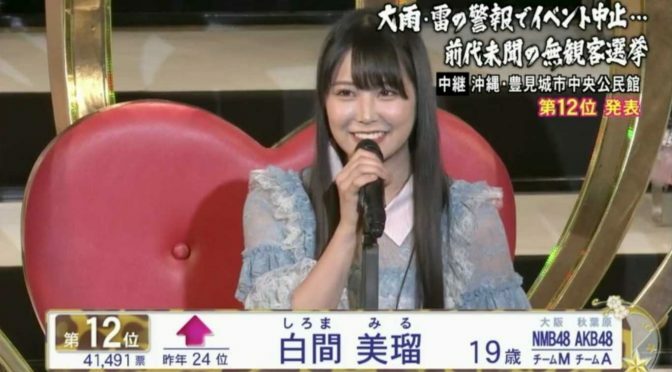 Here is Ogino Yuka’s speech for the #5 position from the 2017 AKB48 49th Single 9th Senbatsu Sousenkyo General Election. 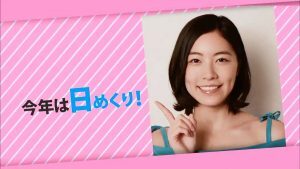 Here is Suda Akari’s speech for the #6 position from the 2017 AKB48 49th Single 9th Senbatsu Sousenkyo General Election. 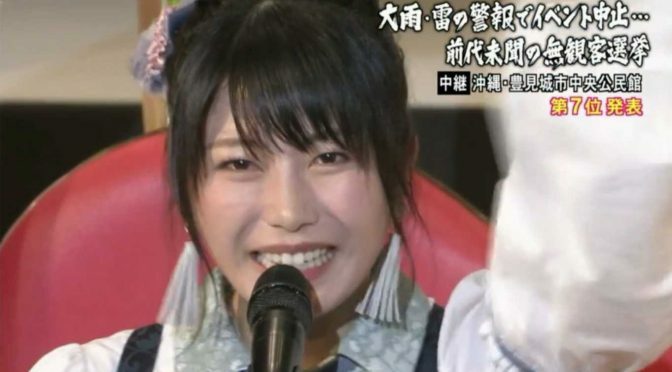 Here is Yokoyama Yui’s speech for the #7 position from the 2017 AKB48 49th Single 9th Senbatsu Sousenkyo General Election. 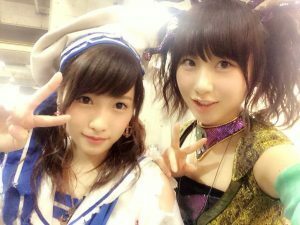 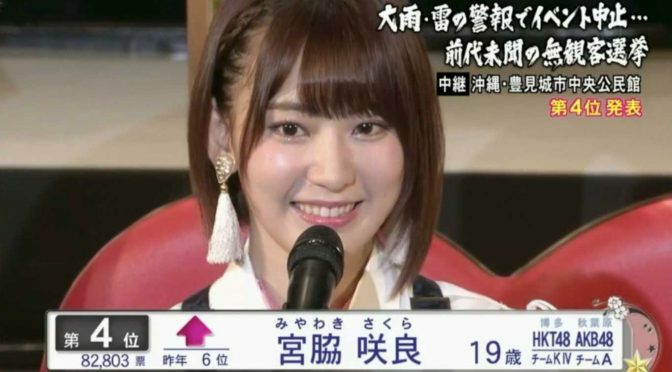 Here is Souda’s speech for the #8 position from the 2017 AKB48 49th Single 9th Senbatsu Sousenkyo General Election. 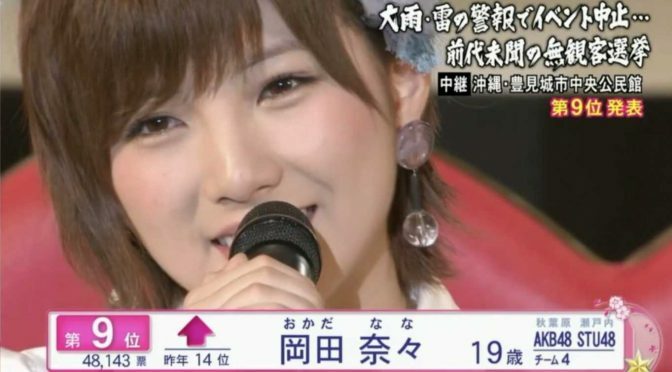 Here is Okada Nana’s speech for the #9 position from the 2017 AKB48 49th Single 9th Senbatsu Sousenkyo General Election. 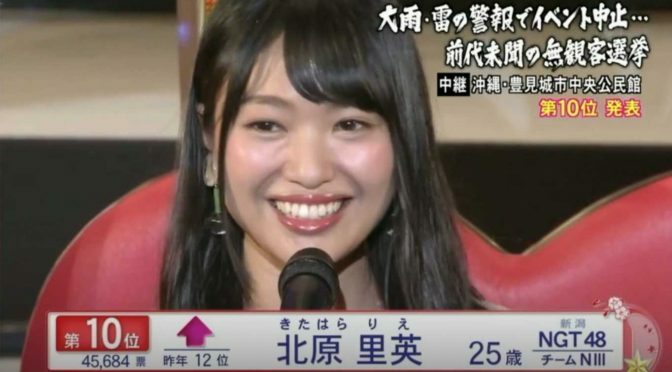 Here is Kiatahara Rie’s speech for the #10 position from the 2017 AKB48 49th Single 9th Senbatsu Sousenkyo General Election. 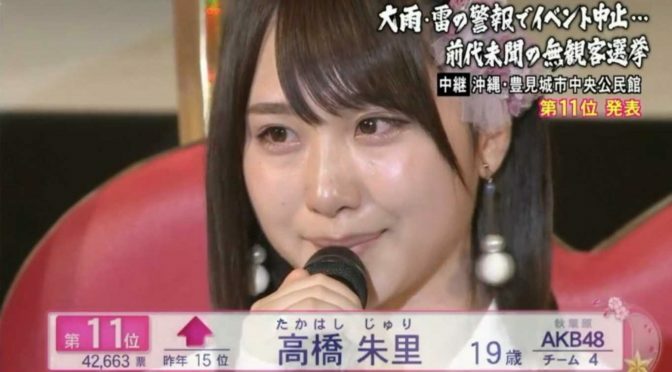 Here is Takahashi Juri’s speech for the #11 position from the 2017 AKB48 49th Single 9th Senbatsu Sousenkyo General Election. 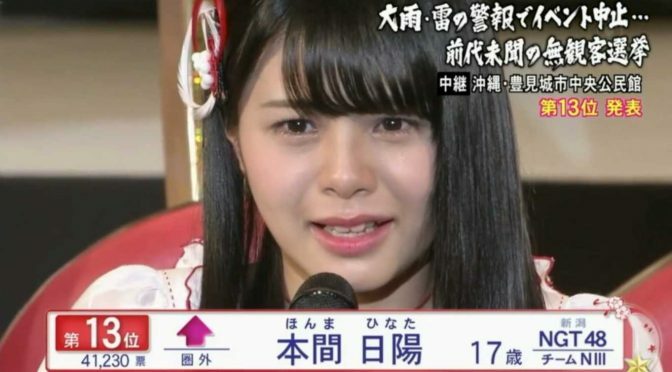 Here is Shiroma Miru’s speech for the #12 position from the 2017 AKB48 49th Single 9th Senbatsu Sousenkyo General Election. 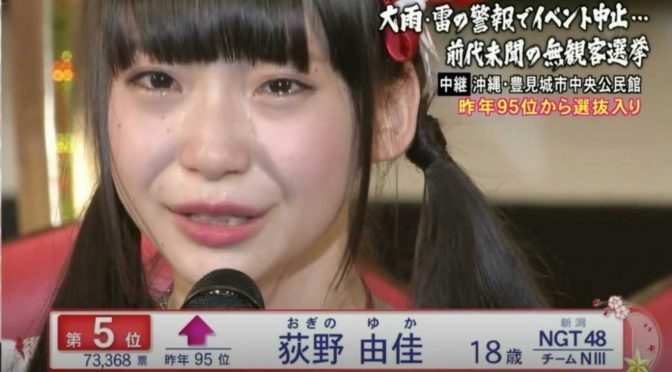 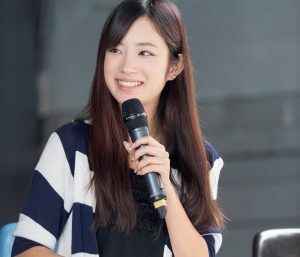 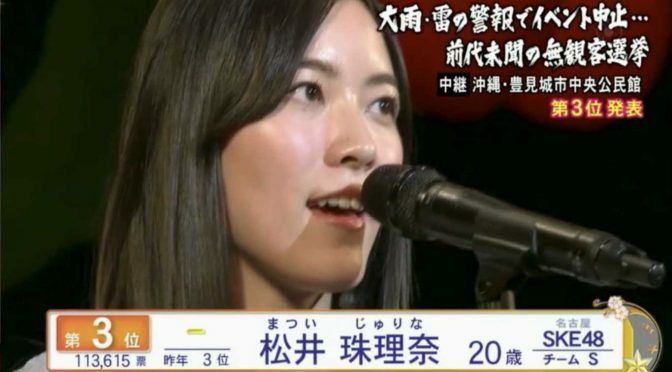 Here is Furuhata Nao’s speech for the #13 position from the 2017 AKB48 49th Single 9th Senbatsu Sousenkyo General Election.